Many workers in Massachusetts are exposed to hazardous chemicals on the job on a daily basis. These may include lead-based paint, asbestos, or carcinogens. Exposure may arise from ingestion, physical touch, or inhalation. 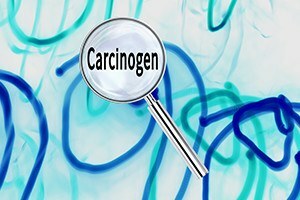 In some cases, carcinogens are accidentally released, while in other cases exposure may be based on an intentional release. Exposure to carcinogens can result in skin corrosion or eye injuries, or it can have long-term cumulative effects, such as organ toxicity or death. If you suffer from an occupational illness or injury due to carcinogen exposure, you should consult the Boston workers' compensation attorneys at Pulgini & Norton about filing a claim for benefits. Employers are supposed to limit employee exposure to hazardous chemicals, including carcinogens. They are also supposed to prevent workers from spreading carcinogens and other contaminants outside the workplace. For example, it may be part of workplace policy that an employee's coveralls are supposed to be kept at work or laundered independently from other clothes. Employees may need to shower before leaving work. In Massachusetts, you may be able to recover workers' compensation benefits if you become sick due to exposure to carcinogens. You do not need to prove fault in the workers' compensation system, and your ability to recover benefits is not contingent on whether you followed workplace rules regarding exposure to carcinogens. In other words, even if you did not follow safety rules for the workplace, and it is partially your fault that you got sick, your benefits will not be reduced by your percentage of fault, as they would be in a personal injury lawsuit. Workers' compensation benefits may include payments for medical expenses, lost income, and other benefits. If you are unable to work in the same job, or you can only work for fewer hours or at a reduced wage, you may be entitled to partial disability benefits, temporary and total disability benefits, or permanent and total disability benefits. These benefits will be partly based on your average weekly wage and partly on the extent of your disability. If the exposure to carcinogens has an acute effect, such as skin corrosion, you may be able to recover a one-time payment for disfigurement, permanent scarring, or loss of function. In some cases, exposure to carcinogens results in death. If a worker dies due to a job-related exposure, a surviving spouse and dependents may be able to recover death benefits. These include burial expenses up to $4,000 and weekly benefits equal to two-thirds of a deceased worker’s average weekly wage, up to a certain maximum amount set by the Commonwealth. The latter are available to a decedent's spouse as long as they do not remarry. If the spouse does remarry, each eligible dependent child can receive $60 per week. The total amount to dependent children cannot exceed what the spouse was receiving. If your initial claim is denied, and you need to go through the workers' compensation claim system at the Department of Industrial Accidents, your employer's insurer will be represented by a skilled and knowledgeable lawyer. It is important for you to be represented as well. Our Boston workers' compensation lawyers represent employees who have been injured due to exposure to carcinogens or other contaminants. We represent people in Waltham, Newton, Andover, and other Massachusetts cities as well. Call us at 781-843-2200 or contact us via our online form for a free consultation with a workplace accident attorney.